I can’t get my head around the John Lewis Creative Collective logo. On one hand I marvel at the combination of C+D whilst on the other hand I almost have to stop my brain from blowing-up due to the intersecting and intertwined negative spacing. It looks like it wants to be right, but struggling to pull it off. It looks clever and cool, but feels unsure and awkward. I love it, but I just can’t make my mind up about it. Maybe it’s been used far to big in relation to the wording and needs to be less prominent. Feels to me a little too loud and harsh even for a simple black and white mark. Maybe I just need some time to get used to it. So as a little experiment I removed the inner D shape to see if this reduced the noise but still retained a visual connection to the D. They would have certainly looked at this as an option. I think this is a more subtle and easier option, but then it lacks the impact of the original which certainly makes it very distinctive. Thoughts? But on the whole I do love the overall identity design of the John Lewis Design Collective. Stylish work. 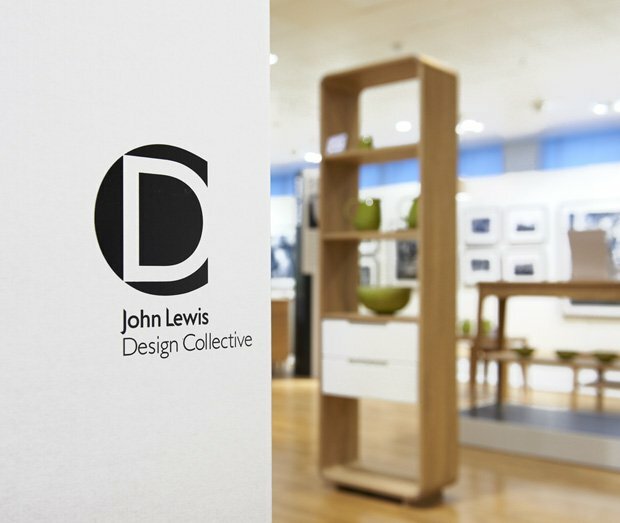 Harry Pearce and his team at Pentagram have designed the identity for the John Lewis Design Collective. The Design Collective showcases the best design talent from the UK and beyond and highlights John Lewis’s commitment to sourcing the highest quality of design for its customers. 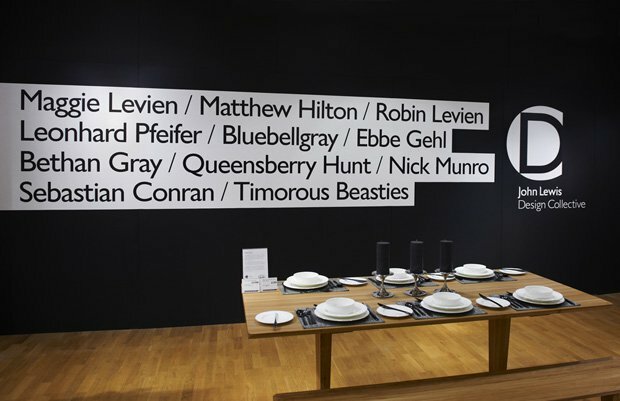 Designers who form the collective include Bethan Gray, Sebastian Conran, Matthew Hilton and Timorous Beasties. The mark created in collaboration with John Lewis Brand Creative is a reversed out ‘D’ in a solid ‘C’ and is being applied to promotional material as well as being used in publications, point of sale and in store promotions.